At the western tip of Lake Superior, Duluth, Minnesota, sits on a steep hillside that rises from Lake Superior to high inland elevations. The city owes its nickname, the Air-Conditioned City, to the largest great lake, which sends its frigid air into the atmosphere. But the city’s steep ascents and cool climate doesn’t deter the most fitness-minded of the city’s 86,000-plus residents. Runners, hikers and cyclists take advantage of Duluth’s natural beauty and ever-growing trail system. And on any given weekday — summer and winter — hundreds of alternative commuters travel to work by foot, bike or other means — including by ski or kayak if the season’s right. Duluth is also home to one of Barr Engineering Co.’s nine offices in North America. Through a company-wide alternative commuting program Barr supports employees who bike and walk to work, use public transit and carpool. We’re thrilled that our Duluth office earned Gold status as a Bicycle Friendly Business from the League of American Bicyclists. Seven of Barr’s nine offices have shower facilities and our two largest offices (Minneapolis and Duluth) have dedicated bike storage facilities. In the summer months, employees participate in a “Commuter Challenge,” in which teams of six to 10 novice, casual and avid alternative commuters track their methods of transportation in a spreadsheet that calculates scores based on transportation mode and distance. The Commuter Challenge won the Minneapolis-St. Paul Twin Cities Metro Transit’s Commuter Choice Award for the Employer category in 2015. In 2017, 77 employees participated in the Commuter Challenge, commuting 25,900 alternative miles from May through August. 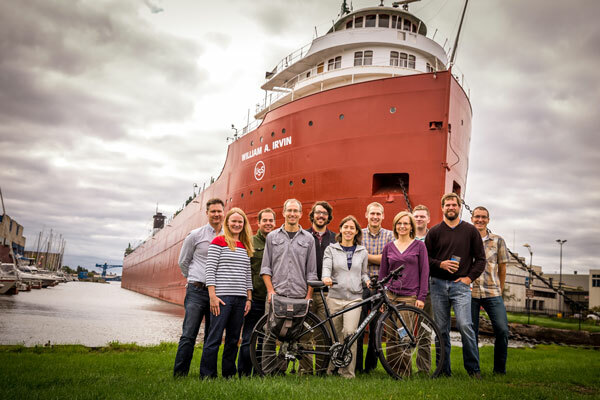 Our Duluth employees hold events during National Bike to Work Week, such as daily prize drawings and an “eat-and-greet” breakfasts for commuters. 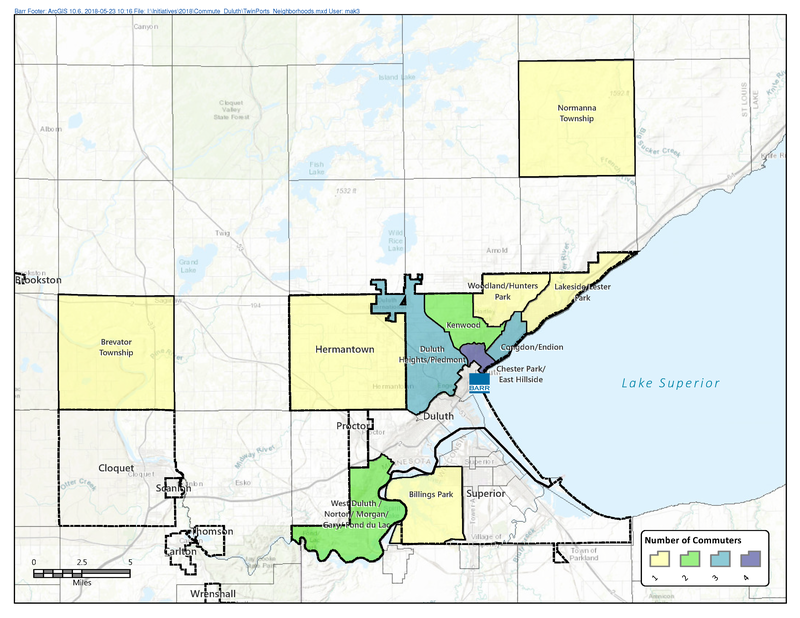 The Duluth office has also created commuter maps of employees’ bike commuting routes to encourage fun and safe commuting. In other seasons, Barr Duluth’s office promotes city bike events and offers internal seminars on topics such as basic bike maintenance and winter commuting. There are even a few employees who bike all year, donning ski masks and heavy layers while infamous ‘Noreasters send icy blasts off Lake Superior. This article was written by Barr Engineering staff Jessica Olson, Senior Water Resources Engineer, Kate Sinner, Environmental Engineer and Craig Gustafson, Senior Communications Specialist.